and yes I do think its worth it to sign up for freebies especially if its something you want to try, is of high value, or of something your really like and will for sure use. Thank you in advance if anyone can help me with the form filler predicament 🙂 …. it would help bundles. @Kate, do you use safari or FF? if you use FF, you could use “InFormEnter” which is a plugin for firefox. I don’t know if that helps you or not! FireForm for Firefox worked for me. I never knew these apps/add-ons existed. What an easy way to get all of those freebies! I collect all the sample sized freebies and put them in a nice lined basket in our guest bathroom for our company to use when they visit. My sister-in-law did this for us when we visited her, and it was such a special treat to try new things. Great article! So true! 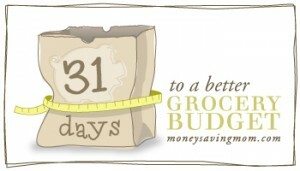 I am soooo addicted to freebies and coupons but my hubby doesn’t complain cause I save between $20 and $40 on our weekly grocery bill. Another way to use and love samples is to take them on the road! If you know you like a product and you still have the sample, pack it the next time you go out of town instead of a huge bottle! Our bathroom totes shrunk significantly in size after we began implementing this system! And nobody wants to carry around extra stuff when they are traveling! Now when we go somewhere for the weekend or a short trip, we dont have totake huge bottles, just throw one or two into a bag and it saves lots of space. These are also cute when you put a bunch of them (and your other freebie finds) into a basket for other people going on a trip, housewarming, house guests, shelters etc. I use my samples for vacation too. The laundry detergent ones are great while on vacation, you don’t have to lug around a big bottle to the laundry room. The deodorant ones I use for the gym. My daughter used to sign up for freebies and I never paid much attention. Every now and then a package would come for her and she’d be like, “Oh yeah, that’s so and so that I sent for.” When I started getting into couponing and saw all the freebies available it was so exciting. Couldn’t figure out for the life of me why I didn’t do it before! It’s definately been worth it. Great tips! I’d like to second the “request only what you need” rule. Because freebies often come with so much extra packaging (especially for such a small amount of product) they are not very environmentally friendly. Help keep junk out of our landfills by only requesting what you will actually use. @Megan, That was gonna be my comment too Megan! Not only do the small sizes add waste, but each small bottle is often wrapped in an inner, decorative package, an outer package for mailing. I wonder if there’s a way to tell the companies that we love the samples (and coupons! ), we just don’t love the oodles of packaging! The toothpaste and body wash samples are great for travel (or my husband’s backpacking trips) though, and I love the food samples! Plus I never have to buy tampons or Emergen-C! I know that myself and a lot of other people often re-purpose these packages to send gifts, etc. so that there’s not the waste involved — something you might consider! I recycle most of what come into the house. I keep a paper bag by my desk so I can throw away any paper that I can reuse to print coupons on. I have a couple bags in my garage for glass, plastic, aluminum; I use left over moving boxes for my cardboard (including freebie boxes). I make a trip to the dump every month or so and start all over again. @Megan, I totally agree! Travel-size shampoo is great if you need to travel, but per ounce, there’s a lot more plastic used than buying a big bottle. I admit that I love freebies, but I am very selective about what I sign up for. IME, the outer packaging isn’t resusable and often isn’t even recyclable. I love FREEBIES! My 4 year old can hardley wait to open the boxes that come in the mail. I usually save my freebies for when we travel. They are great! I have been collecting laundry detergent samples for about 6 months now to take with us when we go to the beach. Less to pack and even less to bring home! I have recently started signing up for freebies and love getting them in the mail. Especially when you get great coupons to go with it. I agree that you should only sign up for what you can use not for products that you won’t use or care about just to get something free. Freebies are definitely worth it for me. I love checking the mail to see what I will receive – most of the time there is some sort of freebie in there. This week them mailman had to leave a rubber banded group of small packages next to our mailbox because I got so many in one day. The high value coupons definitely make it worth it – the sample sizes are such a help for vacations, quip trips, or guests. Thanks for posting all of the freebie links! I was thinking that a lot of these freebies could be used for stocking stuffers at Christmas. @Kelly, Great idea Kelly! I’ve been saving up duplicate and extra kids meal toys/books for our shoeboxes. I’ll be sure to go through my stockpile of freebies when the time comes too! I think that signing up for Freebies is worth it, it only takes a few minutes to sign up and then receive a sample of a new product! It is fun when the Freebies start arriving in the mail and gives you encouragement to continue in the Freebie game. I love freebies!!! I have to be careful of what I get though. Last week I recieved a power bar and I wasn’t home when the mail came. I live in FL and its getting HOT out, by the time I got home the whole thing melted into a puddle. Aha–apparently, I’m naive & began signing up for freebies with my regular e-mail account. Of course, I got tons of spam & wondered if the two were related. Thanks for the tip–I’m off to sign up for a freebie e-mail account. I love getting freebies, especially when they come with coupons. I also sign my dad up for any too. He loves freebies, but doesn’t have the time/patience/technical skills to always do it himself. Thanks for the tip on autoforms. is there a master link for freebies? like one stop shopping, where you can go to and get a nice list of all things free. If you click on the “Freebies” link in the header at the top of the page, it will always take you to the latest freebies available. I am a high school teacher for students with behavioral issues and I use freebies as a token economy in my classroom. The kids love earning things like sample sized lotion, body wash, and even the free teen magazines I get in the mail. It’s a great way for me to be able to afford to reward them everyday on a teacher’s budget. WOW! That is a great idea. I should check with some teachers at our middle and high school and see if they would like to use some of the samples. I always think of Happy Meal toys for Elementary kids…but not samples for older ones! I could even do that with the trial sizes I get for free with coupons! Google toolbar also has an autofill button you can add many profiles to so if you are like me and send the freebies to other family members too you can make this task lots easier by having multiple profiles at a touch of a button! I have family that have no online access or are handicapped and I try to help them too. @Debbie, @Debbie – THANK YOU, THANK YOU for mentioning the Google AutoFill. Never even realized it was there. Just made my “profile” and found a freebie to try it on – IT WORKED and sooooo easy!!! THANK YOU!!!! Holy cow, I didn’t know about a form filler!! I’m new to all this coupon-ing… I’ve been doing it less than a month. I just downloaded the form filler and WOW. Thank you SO MUCH!!!! I sign up for freebies I know I can use OR donate. Shelters love to have shampoo, soap, deodorant, etc. donated–and often times a travel sized package is perfect for them to slip into the bags they give away. I’m on the hunt for new deodorant but they can be expensive and aren’t always a right fit. I’ve gotten 3 deodorant freebies this month. It’s FANTASTIC! I haven’t bought them but I can find something that’s right for me. I can’t think of a better way to spend a few seconds of my time. Another place that can use excess freebies is your local family/social services department. Many times when children are removed from their homes or changing placement, it is a few days before the funding can catch up so having freebies for overnight bags for the children is really helpful. Also, they can provide the receiving family with things that they might need but don’t have time to run out and get like diaper cream, baby wash, etc. YES! I KNOW signing-up for freebies is worth it because of the amazing coupons and free products I’ve gotten in the mail! I love running to my mailbox everyday! Thanks for such great posts on deals and freebies. I saw you have a Kohl’s $10 card in your pic. I am on the mailing list for this and get one periodically, my sister asked me how I got on the list and I have no idea. Do you know how one gets on that list? I love getting freebies! 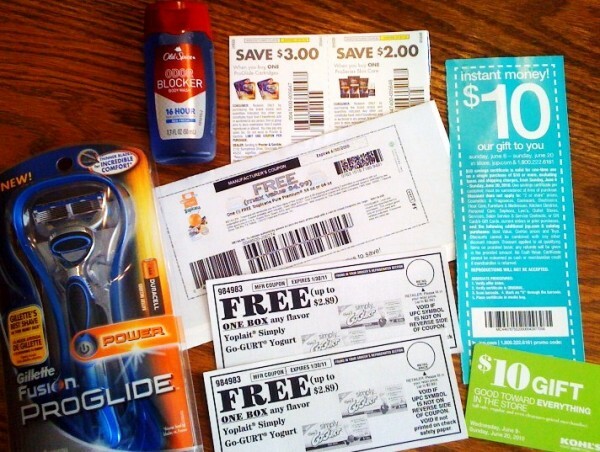 Not only is it fun to see what the mail brings each day, I’m lowering my family’s shopping expenditures because of the high-value or free coupons! My husband was extremely skeptical at first and couldn’t for the life of him figure out why I was keeping something as useless as an orange juice cap, but when we got our coupon for free OJ the other day, he wasn’t complaining! He also benefits from the freebies, like that Old Spice body wash! Where did you get the FREE yogurt coupons, Crystal? @Christine Lauren Walker, I signed up for them on a blog that was doing a promotion. I got two of the freebies and another for $1.00 off. What holds me back is handing out my mailing address to everyone under the sun. Has this been a problem for anyone? @Molly, I haven’t noticed an increase in our junk mail at all despite the freebies I receive in the mail. Signing up for free samples is definitely worth the time. It gets us fun things to try. I also set up boxes so the ones we won’t use right away or for ourselves go in a designated area right away. I have one box for stocking stuffers/gifts for family. Another box is for the food pantry (I also add stuff I was able to get for free or almost free with coupons at the store). The third box is for the homeless shelter, where I put sample size soaps, diaper samples, and any health/beauty items I get for free or almost free with coupons while shopping. When a box is full, it gets donated. Has anyone ever gotten this message below? I get it every single time I fill out a Walmart freebie, in addition to others. It’s so frustrating because I honestly haven’t registered for the items I get the message for! For example, I just attempted to register for the Nivea Freebie a few posts prior to this one and I got……. Any advice or input would be appreciated! Thanks!! @Emily, Some of the freebie offers have a quarterly limit to the number of things you can request from the company. Even though you might not have received the specific item, if you’ve already requested items from that company, they might refuse the request. @Emily, Are you using a PO Box address? Do you share a home/address with someone that may have already requested the item (most are one per household address)? Some ideas. I do think it’s worth my time, but I usually only sign up for freebies I really want. My favorite freebie of all time was a one-year subscription to Martha Stewart living. I’m going to try Roboform – that’s the biggest pet peeve I have with freebies, along with the excessive packaging and materials used in mailing a teeny tiny sample. I love the samples too. My sister is currently collecting sample sized items to donate to a women’s shelter so a lot of my samples went to her when we moved. Got the free razor today! If you loves free samples and coupons you should sign up for Vocalpoint. They often send high value coupons and great samples- sometimes even full sized “samples”. I love opening my mailbox everyday. My neighbors think I’m crazy! I haven’t been ordering a lot of freebies lately, but I used to and enjoyed the surprise of finding a freebie I forgot I ordered in the mail. Plus my family sends me their left over coupons (sometimes whole inserts)! I may have to start signing up again. I quit after receiving ONE paper towel. Not one roll . . . one towel. My favorite are the ones from Walmart and Sam’s. Oh, and I got some John Freida freebies in the mail, and they were really good so I bought the shampoo at CVS this week (I did have coupons and it was on sale for ECB’s, but I didn’t really ‘need’ the shampoo, but after trying it I was so glad to see it on sale so I could get some!). I still send for stuff I don’t use, like diapers, because I give them away to others who can use them. Love getting freebies in the mail. Um, hi my name is alaine and i’m a free sample-aholic… lol… I started requesting free samples waay before I started couponing. It’s just so much fun to get stuff in the mail – especially now that most of my bills are automated, everything that comes in the mailbox is fun! I’m packing for a trip as we speak, and I didn’t have to go out and buy any travel sized toiletries – definitely a money saver! I love freebies! Just this week I received coupons for 10 freed food items! AND in the 7 years DH and I have been together we have never had to buy shampoo or toothpaste! I haven’t bought coffee in 2 years! What an awesome post! I love freebies and do a take two filling out the form. One for my house and one for my Mom. She loves getting mail. I take care of her household stuff & bills online and so hardly anyone sends snail mail to her – the freebies are a big treat. Free magazine subscriptions and small bottles of product are perfect for her. As someone that lived through the real Depression, she always repurposes packaging. This is the first post I’ve read here, and I have to say I’m hooked. I think it is definitely worth it to sign up for freebies. The freebies may only be worth a dollar or two, but that is a couple dollars that didn’t come out of my pocket 🙂 Thanks for posting info about how to get started. I love getting the freebies — it kind of makes it exciting to look for the mailperson again! I reuse or recycle whatever I can as well — even the boxes I take to the recycle bin as they take corrugated cardboard — paper — plastics — they take just about anything. Does anyone knows how much this RoboForm costs? It says in the agreement that you will have to buy it after 30 day trial. I AGREE! It is totally worth it! I have scored sooo many AWESOME freebies since following your blog! You are the sole reason I started using all the coupons I do! Also you have led me to a huge amount of freebies! Soooo worth my time! I have a large family, and you have helped me tremendously! Freebies are fun in my book! I admit — I’m a freebie freak!! I love getting freebies in the mail and give most of them away to others — especially kids. I work in a high school and place the freebies in baskets/bags in the student restrooms. Sample size items are great to pack when traveling and also when kids are away at camp. A friend reminded me that it is also good to pack sample size items when traveling abroad because you can toss out the empty containers as you use them and it leaves more space in your suitcase for the souvenirs. Some sites I use for freebies (other than this one, of course!) are shop4freebies.com and walmart.com. I have also gotten some crazy looks when I get so excited about freebies, but c’mon… They’re FREE!! for graduation presents, i order expensive make up bags for girls that have their initials on them, but then i fill them with samples or cheap after coupons of shampoo, toothpaste, deodorant, band-aids, tylenol, body wash, etc. It makes a very nice grad. gift. i collect things all year to do this. i also send the samples to soldiers overseas…especially razors.